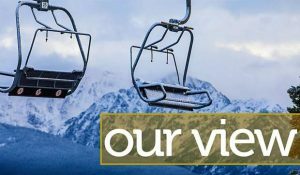 Eagle County’s open space tax was hotly debated when it was first proposed in 2002. The tax, a 1.5 mill countywide property tax, passed but narrowly — by fewer than 50 votes. But as the program was established, and especially after funds began being allocated to open space residents can use, instead of expensive conservation easements on private property, the program’s popularity flourished. The program really started to show results in the wake of the Great Recession. That’s when property values dropped enough to make possible outright purchases of property that the public could actually use for boating, hiking and other uses. When county Republicans attempted in 2012 to make the tax a campaign issue, voters rejected the idea of scaling back or repealing the open space fund. This year, the Eagle County commissioners — and an independent issue committee — are asking voters for a 15-year extension on the tax, extending the current expiration year of 2025 to 2040. Supporters say the extension is needed to acquire more property and plan for long-term maintenance. It can take years, sometimes many years, for an acquisition to move from proposal to reality. There’s also the reality that the annual collections of roughly $4.5 million per year only go so far toward either buying land or participating in partnerships to create more open space. Longtime critics of the tax have pointed out, correctly, that nearly 80 percent of Eagle County is owned by the federal government and is already open space. Still, much of that property could also be exchanged and converted to private use or used for logging, mining or other uses. That’s unlikely, but possible. Parcels in the county’s open space portfolio are locked up forever. In addition, the valley floors along the Interstate 70 and Colorado Highway 82 corridors are where the vast majority of county residents live. Preserving open space along or near those corridors can create buffer zones between communities and also provide recreational opportunities that are easier to access than U.S. Forest Service or Bureau of Land Management parcels. Extending the tax will also allow county officials to create a long-term funding source for maintaining or improving existing and future parcels. As anyone who’s ever bought a home knows, few people mention maintenance as part of the cost of owning property. This request is a bit of an odd proposition in that we don’t usually see the kind of foresight shown here. But this request is reasonable, and it will extend a worthy program for most of another generation.